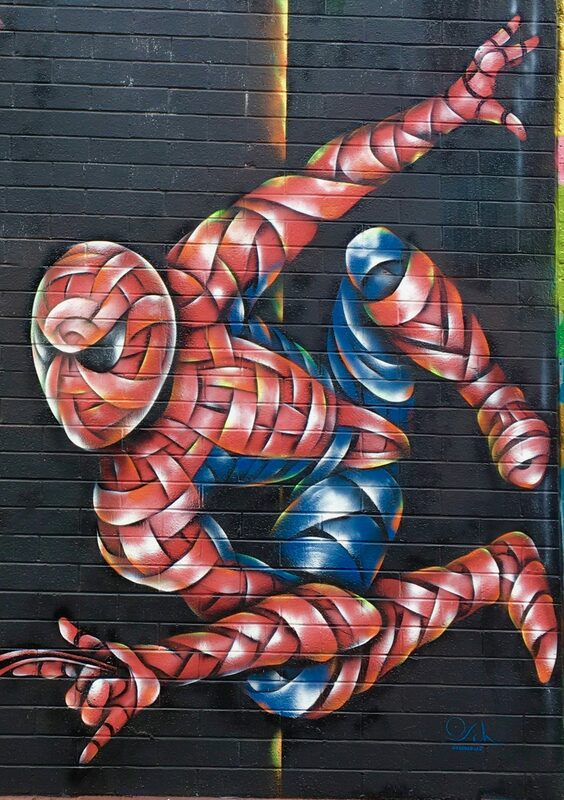 London-based artist Otto Schade lends his signature “ribbon” style to this fun Spiderman mural, which he painted in memory of Spiderman creator Stan Lee, who passed away in November of 2018. 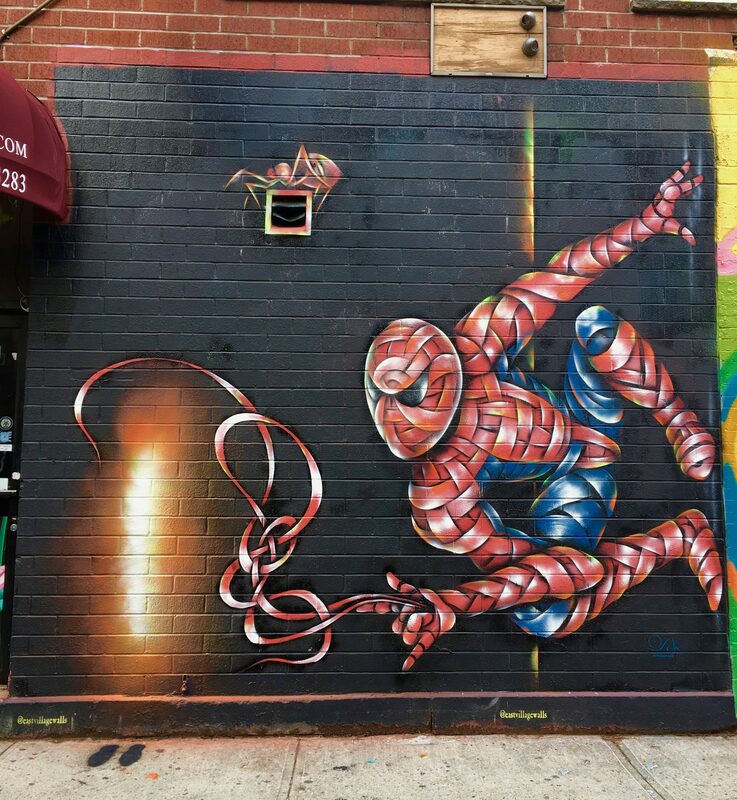 The mural is part of the East Village Walls project, which rotates new murals on the wall outside Julie’s Vintage Clothing Boutique at 84 East 2nd Street (just west of First Ave) every three to four months. See it while you can!